Unlike most of the current texts in the field, Revolutions in Communication is an up-to-date resource, expanding upon contemporary scholarship. It provides students and teachers with detailed sidebars about key figures, technical innovations, global trends, and social movements, as well as supplemental reading materials, and a fully supportive companion website. Revolutions in Communication is an authoritative introduction to the history of all branches of media. About: The rise of the Information Age, the fall of the traditional media, and the bewildering explosion of personal information services are all connected to the historical chain of communications' revolutions. 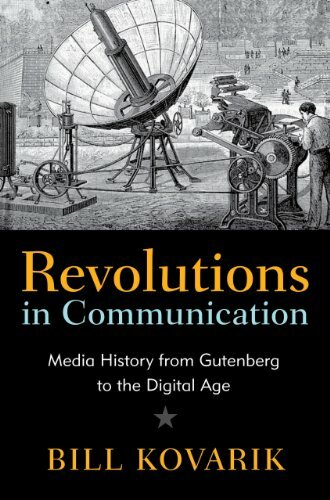 About: Revolutions in Communication offers a new approach to media history, presenting an encyclopedic look at the way technological change has linked social and ideological communities.